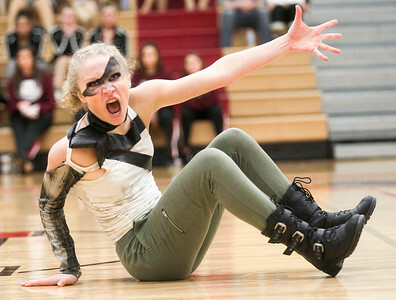 Sarah Nader- snader@shawmedia.com Grant's Lauren Gerdes, 14, performs with the dance team during the 2A Competitive Dance Sectional at Huntley High School Saturday, January 23, 2016. Sarah Nader- snader@shawmedia.com Genoa's dance team celebrates their first place win in the 1A Competitive Dance Sectional at Huntley High School Saturday, January 23, 2016. 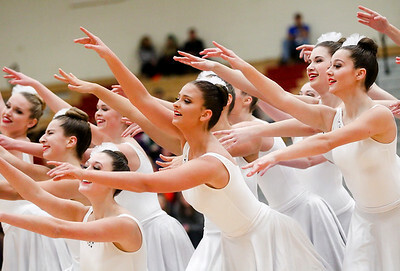 Sarah Nader- snader@shawmedia.com Dekalb's Sierra Sietsema (center), 16, performs with her team during the 2A Competitive Dance Sectional at Huntley High School Saturday, January 23, 2016. 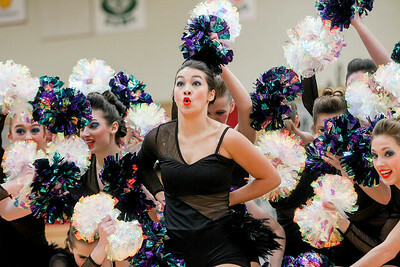 Sarah Nader- snader@shawmedia.com Cary-Grove's dance team performs during the 2A Competitive Dance Sectional at Huntley High School Saturday, January 23, 2016. Cary-Grove finished in fourth place and will advance to State. 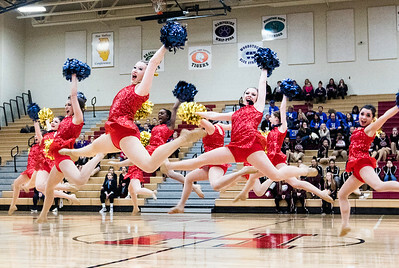 Sarah Nader- snader@shawmedia.com Cary-Grove's dance team celebrates a fourth place finish during the 2A Competitive Dance Sectional at Huntley High School Saturday, January 23, 2016. 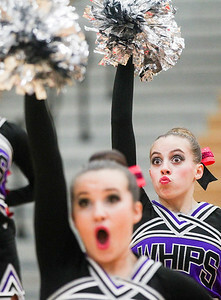 Sarah Nader- snader@shawmedia.com Maple Park's Kiley Roach, 18, performs with her team during the 2A Competitive Dance Sectional at Huntley High School Saturday, January 23, 2016. 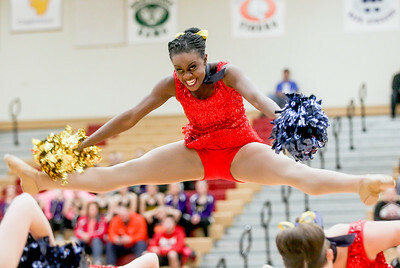 Sarah Nader- snader@shawmedia.com Crystal Lake South's Cecilia John, 17, performs with her team during the 2A Competitive Dance Sectional at Huntley High School Saturday, January 23, 2016. Sarah Nader- snader@shawmedia.com Hampshire's Abbie Bennett cries happy tears after performing with her team during the 2A Competitive Dance Sectional at Huntley High School Saturday, January 23, 2016. Sarah Nader- snader@shawmedia.com Hampshire's Hanna Flores, 15, performs with her team during the 2A Competitive Dance Sectional at Huntley High School Saturday, January 23, 2016. Sarah Nader- snader@shawmedia.com Prairie Ridge's Brittany Scott, 17, performs with her team during the 2A Competitive Dance Sectional at Huntley High School Saturday, January 23, 2016. Sarah Nader- snader@shawmedia.com Crystal Lake South's dance team performs during the 2A Competitive Dance Sectional at Huntley High School Saturday, January 23, 2016. 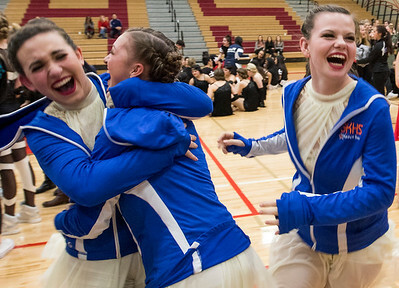 Sarah Nader- snader@shawmedia.com Crystal Lake Central's Hannah Wittenberg (center), 18, celebrates with her teammates after coming in third place during the 2A Competitive Dance Sectional at Huntley High School Saturday, January 23, 2016. 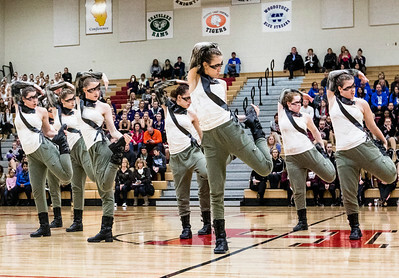 Sarah Nader- snader@shawmedia.com Grant's dance team performs during the 2A Competitive Dance Sectional at Huntley High School Saturday, January 23, 2016. 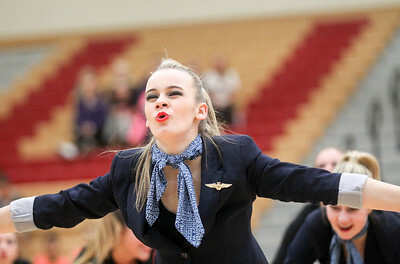 Sarah Nader- snader@shawmedia.com Cary-Grove's Marissa Mason, 15, performs with her team during the 2A Competitive Dance Sectional at Huntley High School Saturday, January 23, 2016. Sarah Nader- snader@shawmedia.com Crystal Lake Central's Madison Wolfe (left), 15, stretches with the help of Tara Nelson, 16, before performing during the 2A Competitive Dance Sectional at Huntley High School Saturday, January 23, 2016. 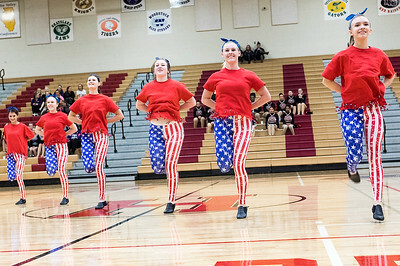 Sarah Nader- snader@shawmedia.com Maple Park's dance team performs during the 2A Competitive Dance Sectional at Huntley High School Saturday, January 23, 2016. Sarah Nader- snader@shawmedia.com Crystal Lake Central's Isabelle Yumping (center) , 17, performs with her team during the 2A Competitive Dance Sectional at Huntley High School Saturday, January 23, 2016. Sarah Nader- snader@shawmedia.com Crystal Lake South's dance team gather in the hallway after finishing their routine at the 2A Competitive Dance Sectional at Huntley High School Saturday, January 23, 2016. Sarah Nader- snader@shawmedia.com Crystal Lake Central's Lauren Gleason, 18, celebrated after her team came in third place during the 2A Competitive Dance Sectional at Huntley High School Saturday, January 23, 2016. 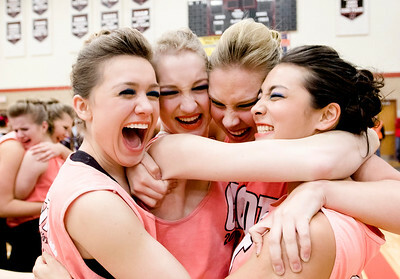 Sarah Nader- snader@shawmedia.com Crystal Lake Central's dance teammates celebrate a third place finish at the 2A Competitive Dance Sectional at Huntley High School Saturday, January 23, 2016. Sarah Nader- snader@shawmedia.com Cary-Grove's Jena Slowiak (left), 17, helps Genna Oppasser, 16, stretch before performing at the 2A Competitive Dance Sectional at Huntley High School Saturday, January 23, 2016. 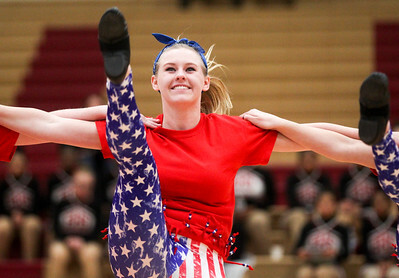 Grant's Lauren Gerdes, 14, performs with the dance team during the 2A Competitive Dance Sectional at Huntley High School Saturday, January 23, 2016.